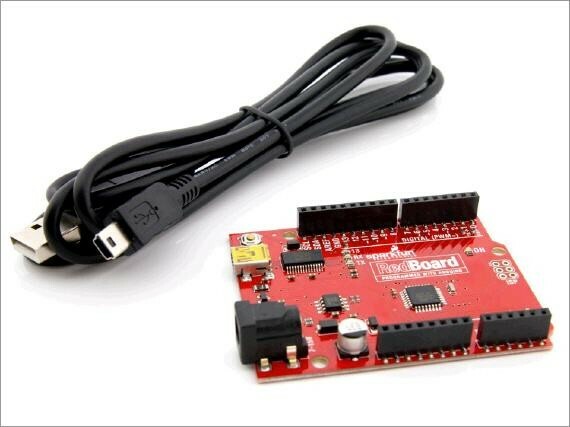 Produktinformationen "SparkFun RedBoard with Cable"
The SparkFun RedBoard is an Arduino™ UNO-compatible board, which is perfect for use with the Vernier Arduino Interface Shield. A USB Mini-B cable is included. 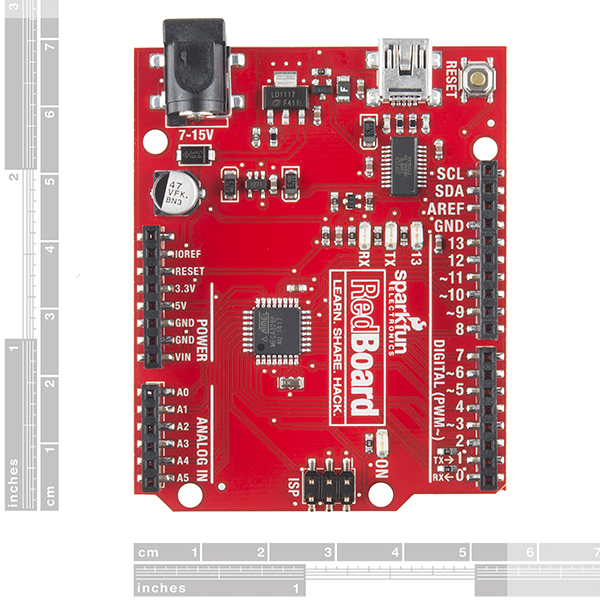 The SparkFun RedBoard is an Arduino-compatible board that is perfect for use with the Vernier Arduino Interface Shield. It is a surface-mount board, which is pin-for-pin compatible with a R3 3 Arduino layout. 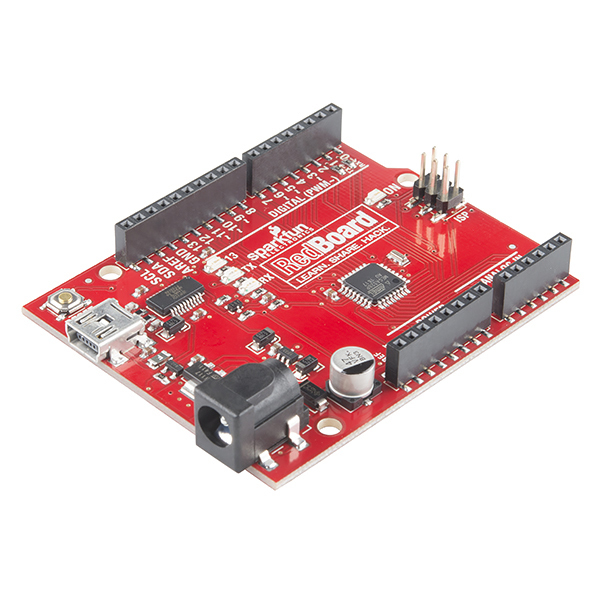 The key difference between the RedBoard and most Arduino boards is that it uses a mini-B USB connector instead of a full-size type-B USB connector. The RedBoard operating voltage is 5 volts, which is required for use with most Vernier sensors. You can power the RedBoard either with the USB connector (included) or with a 7-15 V barrel jack power supply (not included). Weiterführende Links zu "SparkFun RedBoard with Cable"
Garantie(Jahre) "SparkFun RedBoard with Cable"
Weitere Info "SparkFun RedBoard with Cable"
Kundenbewertungen für "SparkFun RedBoard with Cable"